2018 is expected to be a year of consolidation of products and services in the sector - with the impacts of all policy initiatives taken in 2016-17 beginning to take shape in the coming year. Trends 2017: The year 2017 as we all know has set a new benchmark for the Indian real estate sector. The implementation of demonetisation in November 2016 had the entire economy reeling until the first quarter of 2017 and the realty segment was not pardoned either, with land sales reaching stagnation due to more involvement of cash transactions. However, this eventually helped reduce land prices thereby making the end products more affordable to the consumers. 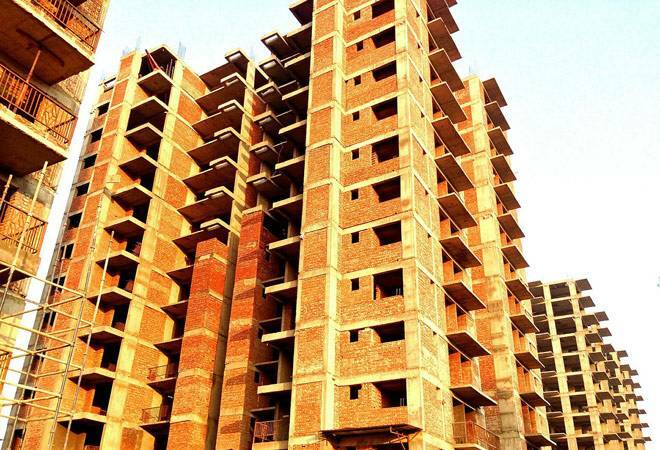 By April 2017, when the markets were looking to stabilise, RERA and GST were announced in succession which again caused some inertia due to confusion among buyers and developers alike, with both awaiting the final set of RERA notifications/legislation from their respective state regulatory bodies. 1. More demand for 2 BHK & 3 BHK segment - apparent by a steady surge in site visits. 2. Preference for ready to move-in properties that are hassle-free of any compliance issues. 3. Willingness to pay a premium for long-standing reputed developers. Predictions 2018: 2018 is expected to be a year of consolidation of products and services in the sector - with the impacts of all policy initiatives taken in 2016-17 beginning to take shape in the coming year. More joint ventures/joint developments will be the order of the day with financially distressed developers being taken over by larger players and presenting the industry with a fresh line up of competitors. Completion of existing projects will be prioritised over launching new ones, hence, 2018 looks promising for a good supply of houses across major Indian markets. In order to achieve this, developers will be remodelling their business processes to streamline delivery and allied services, without stretching themselves too much in terms of debt or scope of work. The Government's efforts to boost "affordable housing" by conferring "infrastructure status" to this segment and announcing various tax incentives will continue to attract more prominent developers to realign their products to compete in this category. The Union Cabinet's decision to increase the carpet area of affordable units to 120 sq.m and 150 sq.m for MIG-I (income category 6-12 lakhs per annum) and MIG-II (income category of 12-18 lakhs per annum) segments respectively, coupled with an interest subsidy of upto 4%, will benefit both buyers and sellers as options increase for the former and inventories are cleared for the latter. Affordable housing will therefore become an important segment in every developer's portfolio in 2018. Developers could also be focusing on their niche expertise in the new year, specialising in the various segments of real estate, e.g., plotted developments, residential projects, townships, and commercial spaces; and hence, specialist service providers could be emerging in each of these categories. Bangalore Real Estate 2018: The residential sector holds immense potential for a place like Bangalore. Bangalore is at the forefront of the IT, e-Commerce and startup sectors in the country, in addition to being host to a number of traditional industries, services and government establishments. The commercial space absorption in Bangalore has seen a strong trend with demand outstripping supply. The housing market is driven by a strong end-user market and growth in employment generation. Further, the proposed infrastructure improvements including the Metro - phases 2 and 3, elevated corridors and phase 2 expansion of Bangalore International Airport are expected to further drive demand in the city. Going forward, these factors would be critical for Bangalore's real estate demand an in the long-term, with reasonable prices, good environment and improving infrastructure, Bangalore will dominate as one of the best placed markets in the country and remain a strong proposition for strategic investors. Government warns against bitcoin trade: Should you stay invested or should you exit?